Process More Jobs – Generate More Business – Advance paint booths containing QADs system can help reduce the booth cycle time by 35%. The quick drying system helps you complete more jobs in less time. Clean Environment – Debris and settling dust can ruin a great paint job in a matter of seconds. 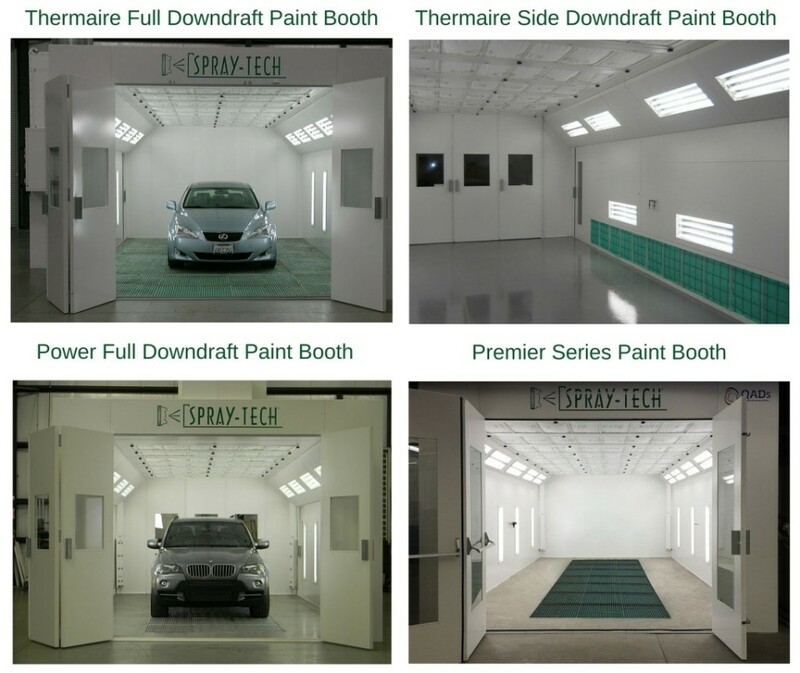 A spray booth is designed with powerful filters to protect anything from settling onto a car. So painters can work in an environment that is free from any contaminants that can cause complications. Control of Hazardous Material – A booth is the easiest and most effective ways of protecting your employees and work environment. In a booth, all the ‘spray’ is contained within so you do not have to worry about fumes or other factors affecting the safety and health of your employees or the environment outside of the booth. Protection Against Explosives – When working with chemicals of any kind there is the possibility that fire and explosive hazards will be present in your workspace. Spray booths are designed to stop overspray, which reduces the result of a fire or explosion from occurring. A properly engineered booth enables you to control the VOC and air mixture which means the risk of combustion is also eliminated. 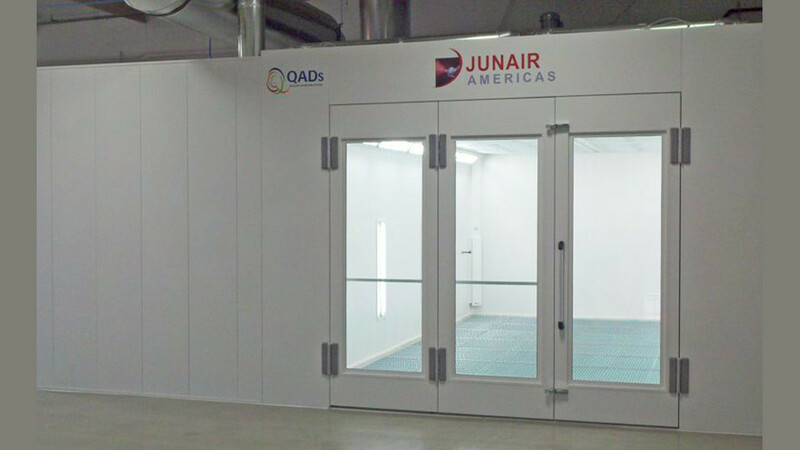 The Junair 5 series spray booths are most advanced and highly productive units. All features of these paint booths have been artistically engineered and are second to none. 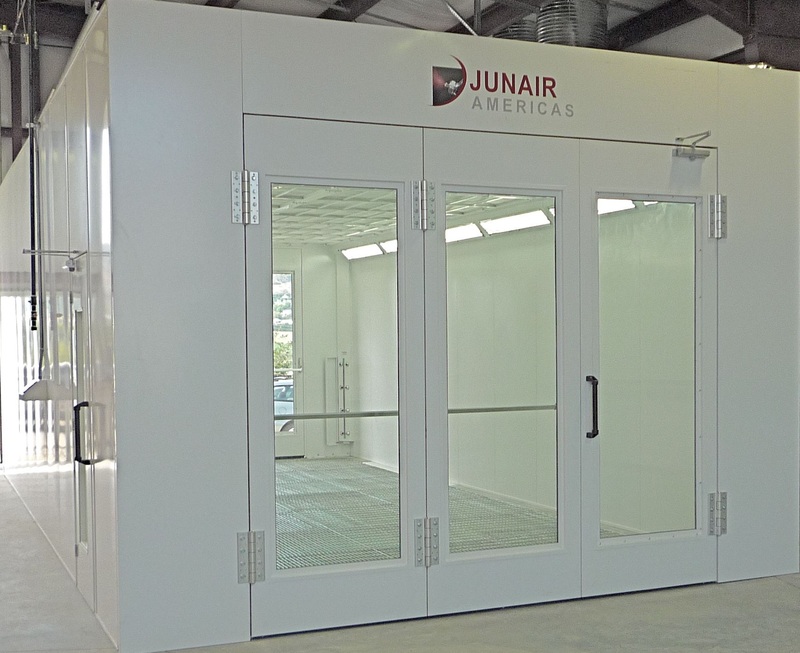 Junair series automotive paint booths deliver the highest quality paint finish at the lowest cost per unit. Paint Booth Control Panel Monitored By Gadgets! Employee health is an important factor for many businesses these days. Having a paint booth and the proper PPE can help ensure that employees don’t breathe fumes or paint particulates while spraying. It also helps to control the painting environment so that you get a consistent coat while working on larger projects like trucks or boats. Having a proper pain job can help protect tools and equipment. This goes for trucks and cars as well.